A transcript of Episode 206 of UX Podcast. James Royal-Lawson and Christopher McCann talk to Melissa Perri and The Build Trap. What it is, and why organisations fall into it. CHRIS: We have listeners in 182 countries from Croatia to Chili. JAMES: And today we’re going to be talking to Melissa Perri. CHRIS: Melissa is the founder and CEO of Produx Labs. She’s also a product management coach and consultant who has trained organization and teams across the world in product management. JAMES: She’s been a guest on UX Podcast twice before; in Episode 120, Product Management in UX and Episode 139; Education and Leadership. Now, Melissa is also an author with her book; Escaping the Build Trap being released I the autumn of 2018. When we talked to you the first, Melissa, three years ago you had decide don the title of the book roughly is The Build Trap but you testing variations. And I think the leading variation at the time was getting out with The Build Trap. In the end it was Escaping The Build Trap. I like the escaping, there’s a title in the end. But tell us, what is The Build Trap? MELISSA: The Build Trap is this scary place that companies get into. And I’ve come to believe that companies of all sizes get into it. Where all you’re concentrating on is building more. More and more and more. More features, more things for customers. Ship it, ship it, ship it. But we’re not really stopping to look back at it and say, hey, how do those features or the things that we’re actually shipping produce value for our customers or for our business? And are they actually hitting goals? Are we stopping to measure goals? Do we even have goals? And we see companies get stuck in this at all stages. From startup, to growth stage, to enterprises. And to me, that’s how you damage your business, that’s how you start having people work on things that are not important. So we want to get everybody out of the build trap so that’s why the book is called escaping the build trap so that they can really concentrate on what’s most important which is value. So value for your business and value for your customers. How do we ship things and build things that actually do those two. CHRIS: In the first part of the book I was really struck by – there was a lot of organizational issues you talked about. You talked about the Build Trap, how you saw it. And the thing I hadn’t really thought about from a product management perspective before was the role of change management in organizations. I saw a lot of that, what you were talking about, going to value-based, looking at user value. And I had never really thought about it before. Tell us a little bit more of your thinking around the organizational change agent as a product management skill. So over the next two years I’ve been partnering with these companies very closely working with their teams, teaching all these product managers and teams how’s never done this before, how to build great product. So how do you talk to your customers, how do you really craft a great solution, how do you experiment, how do you get yourself out of thinking that you know what’s best and out of your biases? And I do that and I look around, and the teams would start doing really, really great. Yes, they were shipping awesome stuff and they were still getting yelled up by management. And I’m going, “What’s going on? Why can’t these teams start doing better things? What’s holding them back?” And I looked around the organization and I realized that the teams were just not setup to thrive. It was not just a team’s fault, it was the organization’s fault. And what’s where all this change management comes into play. If an organization has a bunch of scrum teams and a bunch of product managers who are really awesome, it can completely stifle them by not having the right leaders, the right strategy, the right organizational setup and the right policies in place to really support those teams. And that’s what the book turned into. So I started writing it just thinking like I’d explain how I do experiments and how we do great product management. And over the years I just realized it’s so much more than that and it really goes all the way back up to leadership. If leadership is not bought in, if leadership is not really understanding how to run a great product organization or interested in that, it kills everything, it has destroyed all the things. When I’ve worked with leaders who are very receptive to that, and they want to learn, and they want to support these teams and they want to do everything possible to create great value, they thrive, everybody thrives. And so shifting my focus towards to what do leaders have to do and what do organizations have to do in order to set themselves up for success? And a lot about that has come down into setting up a great strategy. So making sure that everybody is aligned top to bottom on what they’re working on. Having teams aligned by value streams and having them structured in the right way so that every role as you go up the value stream has a different scope and has a different ambition for what they set in strategy. And everybody is aligned around the right things that they should be shipping. And it really comes down to policies and goal-setting and how we reward people. And having the right people in the right roles, that’s a huge part of it too. So the thing that you’re bringing up too is about the value stream. So how do we organize people around value streams and why are they important? I think I have seen a lot of companies who go from – into an agile mode. They’re like, “They’re like, okay, we’re going to adapt scrum.” It’s usually scrum. And when they start to organize in scrum, they say, “Hey, okay, we’ve got all these people, let’s just put them around every feature that we have out there.” And they start putting them on components. And everybody has got dedicated to a feature. Now, that’s not bad, necessarily. We want people to be dedicated to a feature, we want them to think about how to grow it. What’s bad is when we put people around those features and we don’t connect it back to, “Okay, why should we approve that feature?” What’s it going to do for the overall value stream? How is it going to produce more value for our customers? How is going to unblock that? And what happens is those people get dedicated to the features, we say, “You are the product manager on payments and you shall always be the product manager on payments and you shall never leave payment.” And so like the message we send people, it’s like that’s your thing, you’ve got to take over payments, it’s the only thing you’re ever going to be working on. But we never say, “Hey, what if payments become good? What if there’s nothing to improve on payments? Like, where did these people go?” And that becomes a value stream. So value stream is looking at everything that we have to do to ship value to a user. So we usually start the user and we figure out what are their needs and their problems and what products and services do we currently have in our portfolio that solve them? What are new ones that we actually want to build to solve new problems that are arriving there? And when we look at that portfolio and we say, what should we do to either build new things or enhance what we currently have to get to our goals and produce more value, both for our business and our products? And then we align people around that. So it might look like in a typical enterprise level, organization will have, like, a VP of product to run that whole value stream. And then we’ll have a director of product, he will look over, like, a subset of related features that make a big push towards that value stream. And then we would have product managers around larger components of features that make a push for it. And only the things that really are important for it. So I we have a goal to increase revenue, we want to look at that value stream and say, what parts of that value stream are going to help us increase revenue? We should only have people really improving that. We may have the director of product looking over the whole subset of features. But we may be actively only making pushes on a couple of them because the others ones are short [up and fine]. So back to where we want to get into value streams. Because if you lock people in the component, two things happen in your organization. One, you end up with a million teams and you don’t need a million teams. So if you have a bunch of scrum teams, it increases the complexity of what you have to manage and also a lot of people are just looking for work to do. So they fill up their backlogs and they start producing things but they don’t necessarily actually correlate to real value for the organization. So everybody is busy but nobody is making a big push. And it’s usually because we just have too many people working on too many things. So instead, what we really need to – this goes back to strategy is figure out what’s the most important thing we can do as an organization right now? How do we take the people that we have and put them around those things? So enterprises, especially, get into this trap because they’re usually going through some kind of transformation where they already have 45,000 people in an organization and they’re going, “Okay, I’ve got 45,000 people, I want to go on a digital transformation.” That’s usually what they call it. And to me, digital transformations are just about, hey, instead of using services we’re going to use software to scale. How do I take 45,000 people and reorient them around a digital area? And the fact is, it takes more people to produce the same kind of value you have with services than with software. Software is all about automating things. So you actually need less people to build a great software. And it’s better if you have less people because you’ll be more strategic and you’ll be more careful and you’ll be more focused about what you actually do. But in fact, we usually blow this up so now we have a thousand scrum teams where we really only need like 100 to make a really good push. And managing that becomes incredibly complex, and I may lose track on what everybody is working on and we don’t know how to optimize that portfolio. And I’d seen that over and over and over again as enterprises move into this type of working and companies scale too fast. We scale ahead of our strategy rather than thinking about what do we need to do to get to the next level. JAMES: When you’ve come in, though, and you’ve enlightened an organization to the benefits of value streams, component-based organization, how does that actual process work when you’ve come to that conclusion? So you look, “These are your value streams, this is how you need to be organized.” That could be difficult for a lot of organizations to eat. MELISSA: It is. Most of the organizations that I have worked with are receptive to it because they want to get that way. It’s just a matter of timing. They don’t want to blow everything up and move everybody immediately. And then also structure. I’ve worked with a lot of organizations where tech and business are still separate and they’re trying to figure out how do they work together but the reporting lines are separate. So we try to organize by value stream from a work perspective but not necessarily a people hierarchy perspective. Which I think you can do. And that’s what Spotify tried to do with their Squad model anyway. It’s complicated because, usually, organizations are not set up to just pull the switch and become a value stream work. So you need somebody to really own that change and you need a champion to own that change. And that’s only going to crop in at the highest level. You need somebody above there to be like, all right, this is how we’re organizing, this is the goals that everybody is going to have, these are how the VPs are now going to work together so we’re not fired. This is the way that we go. So for companies that really want to make this change, it can’t come from – I’ve seen a lot of enterprises, like, put somebody as a senior director as a change agent and then it’s delegated from the VPs and the C levels and they’re like, “Go change things.” That person is usually not empowered enough to make the changes that need to happen because it’s got to go all the way top to bottom. It can’t just be, “Hey, everybody director level and below is going to change it.” It’s C-suite and below that has to change when you want to make these things happen. CHRIS: So do you think the growth-based organizations – that those have an easier time adopting value stream organizations compared to the corporates? MELISSA: Yes. So since we last talked I’ve been doing a bunch of different things. But we’ve got two sides to our business now and we’re growing pretty rapidly, so we got a lot more people than just me which is really nice now. Because I don’t have to fly all over the place every day. So we’ve got the enterprise side where were taking enterprise companies and they’re moving into this digital transformations and they’ve got a setup product management, they’ve never done it before. So it’s a lot about what we talked about with change agent. On the other side, we’re helping growth-stage companies’ scale. So the growth-stage companies are usually around 10 million to – we’ve worked with up to 50 million. They’re trying to scale super rapidly over the next 3 to 4 years to hit like 150 million which is prime for an IPO. So that’s usually what that is. Or they’ll get acquired, something will happen there. Now, these companies are scaling really, really fast and what we see with them is that usually, it is easier for them to make a change because they’re smaller, first of all. They have more software DNA because they started off as a software company. Like, they knew that software was their product. So it is usually for them to make the change. But they still end up in the build trap. And that’s because the people who founded the company – so the founders will usually be great product people. And if they’re getting to growth stage they did something right otherwise they would have failed as a startup. So they were really good at knowing their customers, they saw the customers, they saw the market, they saw the need, they went out, they built a solid product and they sold. And they got to that 10 million to 20 million mark, which means that they’re turning into a growth stage company. Now, that though, requires a different strategy from getting startup to growth stage. So instead of going hands-on and just executing, executing, executing, getting something out, selling it and making sure it’s a right thing, now we’re turning into how do we grow a portfolio product and manage a lot of people, hundreds of people, right? In order to move this portfolio into the next phase in order to really scale rapidly. We’ve got traction, how do we exploit that? How do we move into new markets? How do we move into new geographies? How do we build new product and manage that portfolio. And what happens when they get struck in the build trap there is they don’t realize that shift is happening, they don’t realize they have to start with a new strategy and look at what’s next, and figure out how do I manage all of these things? And that’s usually where they need to bring in somebody like the chief product officer to really manage their products portfolio and grow that. So they have to grow their teams, they have to grow their discipline, they have to grow their processes, they have to grow their products, they have to grow their strategy and they have to change that over. Now, all these companies I’ve seen are almost always organized by value streams by nature because their product line ends up being that value stream and then when they stand up another one, they have another group working on it. So they are almost always organized by value streams. It’s the companies that don’t have that software DNA in it. They usually split the technology teams away from the business, so the value stream is not connected. So they’re not organized by value streams because those two teams have not traditionally been working in sync with each other. CHRIS: Yes, you’ve got to have that initial DNA in those situations. The transformation change barrier is going to be very difficult to climb. MELISSA: Yes. With the growth stage companies too, they get into the build trap. It’s all about strategy at that point. It’s still about getting the right people. So with a lot of the companies we work with, the founder is there and it’s about getting the founder to realize they’ve got to hire a chief product officer or become the chief product officer. Like, do you want to be a CEO or you do you want to be a CPO. And it’s a tough choice. It’s a really personal choice for them. But if they want to be the CEO they’ve got to hire a CPO. So they’ve got to have somebody there or somebody has to become the CPO who is in the organization and that person needs to take on the whole, “How do you manage this portfolio and grow it?” So that the CEO can go out and do all the things that they have to do, like raising their money and running the business and looking at everything. So that tends to be the thing that inhibits the growth stage from scaling as much. It’s having the right leaders, having the right people. A lot of times startups will get going by hiring a lot of junior – like, really smart people who are not actually experienced and are good at getting things done. And as long as you have a strong strategy and a strong leader that works fine. But as soon as you have that leader go off and have a million other things to do they lose track of the strategy. Now, you need somebody dedicated to doing that, taking it to the next level, setting that for those people. So you guys start bringing in level of very experienced people who can help level up the junior team. And the growth stage usually gets struck in the build trap because they’re hiring tons of people but they’re not having a strategy to really support that. So that’s why leadership is the most important thing to hire in those stages. CHRIS: How does the communication of the strategy enter into that? It seems to me that if you just have a strategy it’s one thing. But I think in your book you talk about asking a number of different people in the organization, how does this thing they’re working on benefit the company and they really couldn’t answer that? So to me that was a communication red flag right away. What sort of things do you see happening around that? CHRIS: So the first thing I go in to figure out if there’s strategy or not, I ask all the teams, like, what are you working on and why? We actually draw things and we show how that bubbles up. And a lot of time you’ll see we’ve got – in enterprises, especially, or even growth stage, like I’ve seen this with with like 15 teams, everybody is working on something different and they have no goals and nobody knows why they’re working on the things they’re doing. And you also year from people on the teams going, you know, our leaders keep changing their minds every 5 minutes, we’re not really sure what we’re supposed to be working on. And it doesn’t even matter if I start working on this because in a month they’re going to tell me to work on something different and I’m never going to ship. So we’ve got leaders who keep yelling at their teams that they need to ship more and we’ve got teams who can’t ship more because they’re changing course every month. So they never get a chance to actually produce things. So that’s telling me there is no strategy alignment. So it’s one thing to have a strategy and it’s another thing to deploy it. And you need to deploy it at the right levels and this is a lot about what I talk about in the book. 99.9% of companies are doing this wrong from what I’ve seen. But you need to have something that says, okay, at the highest level here’s our business goal. How does that manifest into what our product portfolio should be working on? What problem should we be solving, what should we be exploring at this level? And what are the goals? What should the teams be working on? How do the teams figure out what features to improve, what features to create to actually get to those higher level needs, solve those problems for our customers and that all translates back up to our revenue and business goals. So that’s what a good strategy framework should do. It should tie everything together top to bottom. But usually companies are missing that kind of – I call it the missing middle. They know that they have hit revenue and the teams are doing a bunch of stuff but nobody is really connecting it to the business goals to what the teams are doing. And that’s where you need great product leaders to come in to look at that portfolio and say, hey we should build this new product out, we should enter the enterprise market but to enter the enterprise market we’re going to need to solve these new needs, you’re going to need integrations, you’re going to need this. This is how it manifests down into the teams. That’s what product leaders do, they say, okay, I know these are our revenue targets, I know that this is where we’re going as a company, I see the vision. This is how it manifests from a product perspective. And then they work with the people to build the roadmap and actually figure out what are the tangible things that we do to get there. JAMES: So the product level will get really bombarded from other parts organization. MELISSA: Yes. Good product leaders know how to work with sales. All of our chief product officers are partnering with sales very closely. And what they’re doing is they’re commercializing the roadmaps. So they’re going, okay, let me first figure out what the strategy is, let me make the hypothesis on how we get there, let’s go do the research. Let’s set the strategy, let me get to the teams, let me figure out what’s possible. Okay, now I have a good idea of what our strategy looks like for the next quarter – whatever it is. High level. I’m not talking about what feature are you building tomorrow. But high level; these are the things that we think we’re going to bring to market. Now, let me go to sales and figure out how to result that results in revenue. And sales is responsible for taking each of those chunks and figuring out how can we sell it? Is there appetite? How much of a market is there? JAMES: Hold on, hold on. Contract debt, you just said. MELISSA: So just like [tech debt], contract debt. How much contract debt do you have? How much are you committed to? And then we start comparing it. We do a lot of hands-on strategy work ourselves now too. So we compare it to their strategy and their vision and we say 50% of this is – you got to do it now, but you realize you just took yourselves out of the running for six months because it’s actually not going towards your long term vision. This is stuff that you just have to do to make it sell, but you’re not going to be able to resell it to other people. So now you’re becoming a custom software shop. And without somebody to really do that work, our CEO levels of these stages are of doing what they have to do. They’re doing their job. So we’re missing somebody who can really do that, who can partner with sales, who really can be that buffer, who can strategically get ahead of all this so that they don’t feel like they have to go sell that. CHRIS: Isn’t it sort of a common issue when you have investors involved and sales is very important that you need that so you have investors saying – you know, they might not explicitly say it but there’s a lot of pressure from the economic side of things which sometimes make poor decisions. MELISSA: So there are. And that’s the tradeoffs. And a good chief product office knows that sometimes we’re going to have to make a tradeoff to keep ourselves live in the short run versus in the long run. So sometimes we do have to make concessions, but they also know enough to push back so that you’re not doing that every day. And that’s the balance you have to weigh especially at that stage of a company. And investors do care about sales. There’s a lot of investors out there who only care about sales and I’m really lucky that we’re partnering with Inside Venture Partners because they really believe in product. So we’re kind of extension of their team and we go into all their growth stage companies to work with them on great product strategy because they know that without a product strategy and without product, sales can sell anything. So we combine those things. So we still optimize sales and there’s a lot of sale operations that you can do to make your company grow. But without a great product strategy, sales has nothing to sell. And that’s where you get that friction between sales and product. Sales is like, “I’m going to sells [things] because you haven’t told me what I can go sell. You haven’t showed me what I can package.” And when you bring in great product leaders, they are the ones that can bridge those things together. But sales are always going to be a thing. It’s about getting ahead of it and making sure that sales has something to sell, that’s the right thing to sell. And when you point a great sales team at a product strategy, and a great packaging strategy and you teach them, “This is a value proposition, this is what we’re going to go do, this is what we’re building” they’re excellent at selling it. It’s when you don’t have that connection that everything falls apart. JAMES: I love the idea of the contract debt and also – almost like you’ve got a budget that you can afford to let so much of that debt – let sales and contract work build up a little bit of stuff. But you have some kind of limit. And once it gets to that limit then you can’t let it go over because it will be all consuming and everything will collapse. Certain bets are worth thing but not every bet. MELISSA: Yes, exactly. And it’s about tradeoffs. And that’s what product is all about. So if we take on this contract debt what could we be building and how would that monetize in six months compared to this? And sometimes it’s going to take longer to build some of the things that we want to build that are very visionary and we’ll move it to the next level. So we have to take on some contract debt in order to stem ourselves over to the next phase. That’s were good strategy framework ad good communication really opens that up. It’s when you can explain the reasons why you use those tradeoffs. JAMES: As usual, Melissa, we’ve learned so much from talking to you about this. But I’ve got one final question I want to pose to you. In our post interview chat back in Episode 120 when we first talked to you, Per said he had another question he wanted to ask you and we didn’t have time. So we promised that we’d ask it next time. So let me ask it now. In your bios, on your descriptions of your history past on your first web your first website, you said you started a company in Italy and learned about the wonderful world of bureaucracy and risotto. Now, what does that mean? MELISSA: So in 2013, I was in a startup accelerator called [Tech Geeks] in Italy and the concept was great to me because; one, I didn’t know any better. But two; they said, “Hey, we’re going to just throw a bunch of people together, use lean startups to create companies.” And I was like, “I love lean startup, it’ll be great.” And little did it know that there’s way more involvement in creating a company. It was run by the Italian government, so that should tell you all about what you need to know in bureaucracy of itself. But yeah, we got a lot of hurdles, it was a really good way to kind of stifle innovation. We had go through so many hoops. And there was things we could do and things we couldn’t do. And you kind of had to get your team together in two weeks and committed to it. And there was lots of rules about how you could spend the money. So bureaucracy to a fault. But while I was there that was frustrating for me too because coming from New York, I worked with a lot of startups here who were great. And they trusted you’d just go things. So it was really nice. You had a lot of freedom. Well, the risotto part, though. Well, I was in Italy, we learned how to cook and that was really, really awesome. And I never liked risotto before. And I learned how to make great risotto from the Italians we worked with who were very lovely people. And I learned a lot about how much really goes into making risotto. MELISSA: Yes. And we started putting the rice in and I realized you had to ladle the broth in and let it simmer and soak up, and then you ladle the next one. And it takes a good hour of dedicated work to make risotto. It’s not something you put on and walk away. So have a whole new appreciation for that food, I absolutely love it now. And I’m very happy that I, at least, learned how to cook in Italy. JAMES: Risotto is a work of art. JAMES: It sounds lovely and that is definitely a skill for life. CHRIS: It is the labor or love, I agree. JAMES: Thank you very much, Melissa for joining us again today. CHRIS: Super. Great talking to you again. MELISSA: Yes, it’s great. Thank you. JAMES: The first thing I think about and I’m wondering about now after talking to Melissa is, is the build trap inevitable? JAMES: I think it’s reflective of Melissa’s book as well, Escaping the Build Trap. She doesn’t say avoiding the build trap. We didn’t ask her directly but the title itself implies that you’re already there and you’re going to get there. CHRIS: I think it also points out that there’s a natural inclination for people to act in this way. Because I reflected over the name change we were talking about in the podcast is that it’s not avoiding it, it’s not making a conscious decision not to do this, it’s going to happen regardless. And time and time again when I was talking to her I’m like, “Is this inevitable? Is this human nature?” I know when I think about that – but it kind of reminds me about any kind of change you want to make to a business or on a personal level that you have to want to do it and you have to see that vision and push it through. So a lot of it was change management I got out of it, or at least a lot of things she talked about. JAMES: I started thinking about whether the build trap was a product of time, that you’ve always reached it after a certain amount of time. But then it thought, no, actually it isn’t that. And I said okay, is it a matter of scale? Do you always reach it when you get to a certain scale? But it isn’t that either because we’ve got examples of companies that are both big and old that may be on, kind of, constantly in the build trap. Not from the outside looking in anywhere. But I think a lot of that is the Wizard of Oz thing that you’ve got, companies look like it’s all working and it’s honkadori. I mean, me and you are consultants – and Melissa too – you’ve been on the inside so many times and every organization is messed in some way. CHRIS: I think it’s natural too. Think about yourself. When someone comes to you with a problem, your instinct initially is to come with solutions. And I think we’re sort of hard wired for that. So I think a big part of it is slowing down and saying instead of going into the solution space, let’s make sure we understand the problem space. I also start to think about user research, that’s why user research doesn’t get done the same way it should be because we’re so quick to get into the solution space. And to me, it’s really the same thing. In the build trap, it’s just one more extension, the next step to the solution space. JAMES: Yes, because as we mentioned when talking to Melissa, as humans, we categorize, we want to create silos and categorize and slim things down. It’s a survival instinct, you make your world more content so you can feel more comfortable with how complex and how much you understand it. And even though I really, really like organizing your teams and organization by value streams – I think value streams is additional cognitive burden on people in the organization because I think it’s more abstract, is the value stream. I’m generalizing – not all organizations. But I fear that value streams are more abstract which means it’s not a natural state, which means the build trap will happen again once key members of the team or the organization shift and move roll or organisation then you will fall back in the build trap. CHRIS: I agree completely. I mean, first, you have to answer the question, “What is value?” That’s a philosophical as well as an economic discussion. And people are not going to want to spend that much time on that because it’s difficult and it’s – like you say – cognitive load and it’s uncomfortable so it’s much more fun to sit around at the conference table and start throwing out ideas on what the solution is going to be and deciding on one very quickly and then running with it. So I think what you’re saying is, to a large extent, this is human nature or at least biology in a way. JAMES: To not end on a completely depressing note, I think that’s fine – what it means is don’t try and avoid the build trap. What you need to do is be always looking out of it and always ready for it because it’s going to come. You’ve got the toolbox full of things that help you deal with getting out of the build trap, then it’s going to be alright. CHRIS: I don’t think it’s depressing at all. I think it’s how you would address any bias. We’ve read numerous different books and blog posts and say these are their bias. But the fact of the matter is to actually avoid a bias is almost impossible. The best you can do is realize that this bias exists. And I think building time to say, “Am I being biased here?” A self-introspection, which I think is also really, really difficult and it takes mental energy and people tend to avoid it. JAMES: And it takes a little bit of time because you need space and time to reflect. CHRIS: Correct. Thank you for spending your time with us. As always, links and notes from this episode can be found on uxpdocast.com. JAMES: If you want something to listen to next, our recommendation, of course, is Episode 120 which is the very first chat we had with Melissa on UX Podcast back in February 2016. CHRIS: Remember to keep moving. JAMES: And see you on the other side. CHRIS: Yep, we’re at Microsoft! 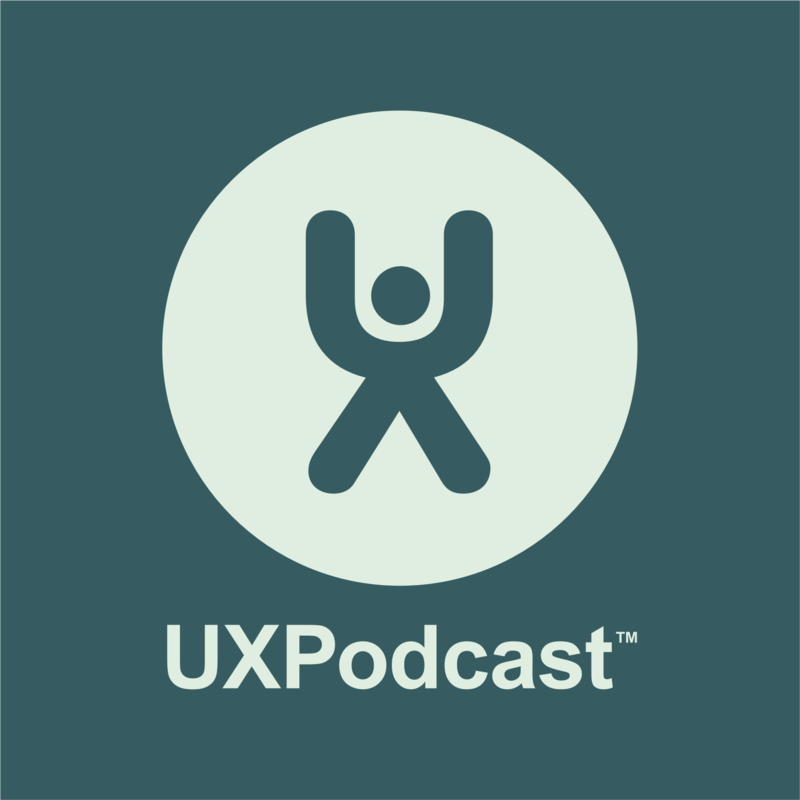 This is a transcript of a conversation between James Royal-Lawson and Christopher McCann recorded in March 2019 and published as Episode 206 of UX Podcast. Transcript kindly provided by Qualtranscribe.